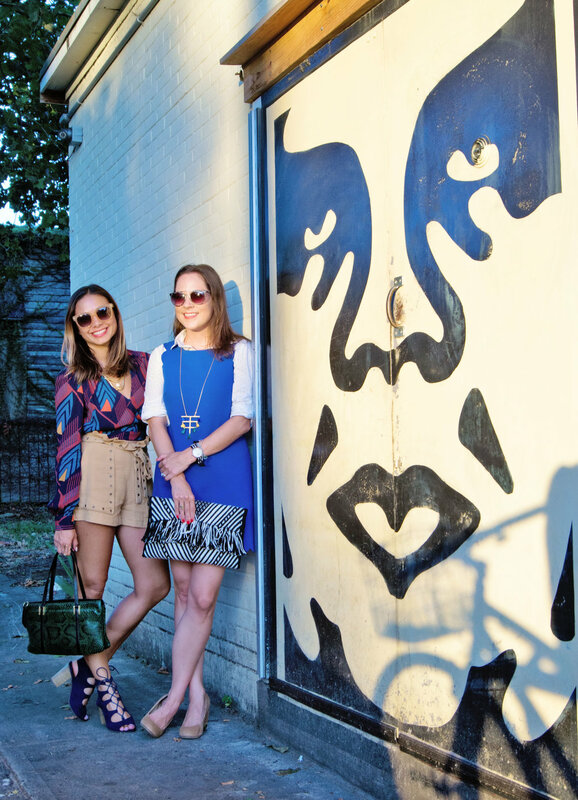 Charleston Life: Triple Date Night! My husband, Jonathan, and I love to "go to Lee Lee's for date night" (aka get it delivered via Quick Foxes and enjoy it from our couch), so it was a fun change of pace to dine in and experience the quirky ambiance with some sweet friends! Lee Lee's Hot Kitchen treated us to a delicious meal while Jennifer Collins snapped some fun photos of our triple date with our squad (Gus & Andrea Serrano and Tim Newborn & Daniel Velasco). After a couple rounds of Sake who wouldn't have fun, but I want to share 3 reasons you will also love Lee Lee's! I have not the biggest fan of Chinese food since about 2005; I ate it almost every week in college because all of our friends worked at the same chain Chinese restaurant. Lee Lee's was sort of my reintroduction to Chinese food as an adult, and I think it was able to turn me back on to Chinese cuisine because it's very fresh and traditional food. Beginning with the beverages, you just can't go wrong- the Hibiscus Mimosa and Ginger Lee were light but bold, plus they have some very neat individual beverages in funky containers. The Salt and Pepper Chicken is now my favorite thing on the menu, and all the guys loved the Char Siu (ribs) and Hong Sho Ro (pork belly). 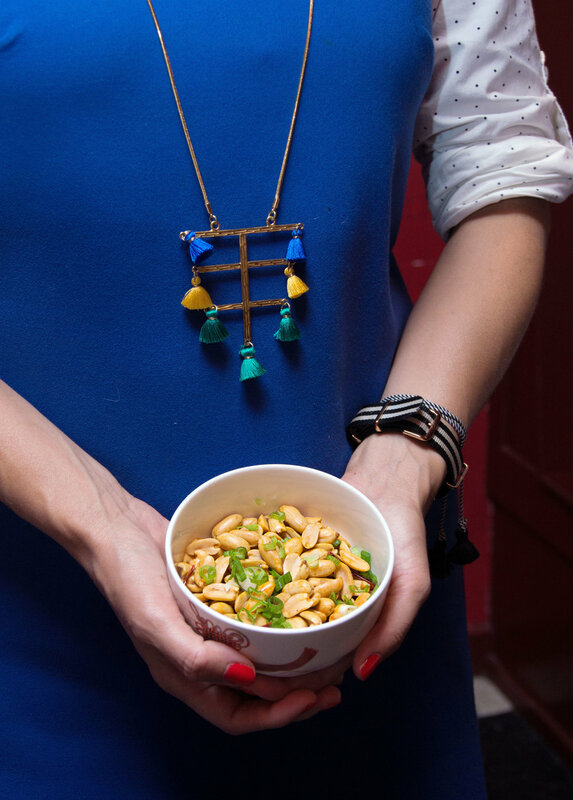 The comfort noodles were a crowd pleaser too, but I have to say I could have even been satisfied with a dinner of the happy hour peanuts alone. You may remember I sometimes don't adult and therefore ignore my dairy allergy; this was one of those times and it was so worth it for THAT CHEESECAKE!! Start to finish we had a meal to remember! If you're like me, you probably find that the setting is as much of a part of the culinary scene as the food; I want a great meal, but also a vibrant atmosphere on the rare occasion I put in the effort to wear heels! Lee Lee's certainly delivers with crazy red bird cages above the bar, really awesome "wallpaper" of vintage Chinese posters all over the restaurant, and even a little Shepard Fairey artwork on the kitchen door. There are pops of red everywhere, so all of your senses are about to be energized. Our friend Xan doesn't attach his name to something and have it not turn out awesome. Ewww that sounded so pretentious, which he is not. He brought so much to the table (ha! get it?) at Park Cafe, so I knew Lee Lee's would get even better after he took over as the operating partner. He has such an affinity for making people feel at home, and his wine knowledge doesn't hurt either... he even made our whole group come to appreciate Riesling! Having that type of owner makes you feel like you're visiting an old friend, so it's no surprise his whole staff is just as friendly and accommodating. The servers were great, and we got to chat with chef Jeff Cali while we finished up his delicious offerings. His passion for his craft is really evident, and he has taken traditional Chinese dishes and really made them his own. I will also point out that Lee Lee's is the perfect place to bring other people you really enjoy. Our group had so much fun, complete with interesting rules for reading fortune cookies! Operating Partner Xan McLaughlin checking in with the guys and me. Enjoy these scenes from our triple date, and follow me on Instagram for more #charlestondatenight ideas! My accessories: Necklace from Open Door Shop, Clutch from Ibu, Sunglasses by Nectar, use code WEEKENDER for 20% off!